Clint Bowyer’s strategy is about as clear-cut as it gets this weekend at ISM Raceway near Phoenix when he competes in the next-to-last Monster Energy NASCAR Cup Series race of the 2018 season. If the No. 14 ITsavvy Ford driver wins Sunday, he advances to the Championship 4 round next weekend at Homestead-Miami Speedway to compete in the four-way, winner-take-all title race. Anything less this weekend at Phoenix sends Bowyer to Homestead battling for a finish of fifth to eighth in the final point standings. It’s going to take a spectacular effort for the Stewart-Haas Racing (SHR) driver to advance Sunday, but Phoenix is a pretty good place for Bowyer and his SHR organization. The mile-oval in the desert is SHR’s best track, with six victories and 17 top-five finishes in 58 starts. Kevin Harvick owns five of SHR’s six victories, including a win in this season’s April race. Bowyer had a good run of his own that day, ending with a sixth-place finish. It will be a different-looking Phoenix facility when the Cup Series begins practice Friday. As part of its $178 million project, the track’s start-finish line has been moved from the middle of what was the frontstretch to what was turn two – now turn four. The change was made because the track added 45,000 grandstand seats to that area of the track as part of its huge renovation project. Restarts and the race finish will be in front of the majority of fans attending the event. Bowyer said the change could make an impact during the race. For the fans, these changes bring new and improved access to the garage. The renovations also include new restaurants, plus a state-of-the-art facility inside the gates that includes two separate entertainment venues. For the second time in 2018, Bowyer’s No. 14 Ford Fusion will carry the paint scheme of ITsavvy (pronounced I-T-savvy). The Addison, Illinois-based company is one of the fastest-growing resources for integrated IT products and technology solutions in the United States. ITsavvy has catapulted rapidly from a Midwest startup to a national leader in IT products and solutions. Founded in 2004 by Mike Theriault and Chris Kurpeikis, ITsavvy has been consistently recognized as one of the fastest-growing businesses of its type. ITsavvy is a single-source, end-to-end IT partner. The company combines a comprehensive, value-added reseller business of more than a million computer, hardware and software products with an industry-leading advanced solutions group. ITsavvy has access to $8 billion in daily inventory in 46 distribution centers around the country with the ability to ship in-stock items the same day they are ordered. 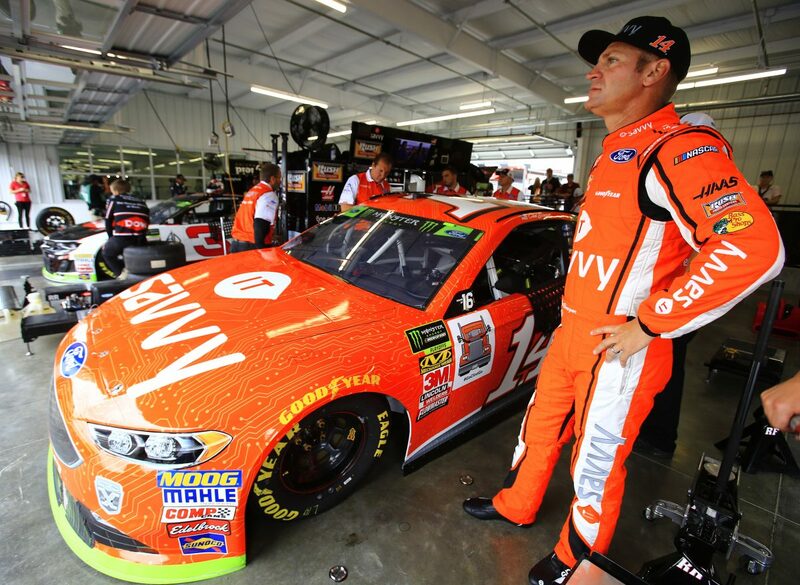 Bowyer arrives at Phoenix eighth in the playoff standings, 73 points behind the fourth and final transfer position to the Championship 4 after finishing 26th Sunday at Texas Motor Speedway in Fort Worth. Bowyer qualified second, but opening-lap contact with Denny Hamlin forced Bowyer to pit road for repairs, dropping him two laps behind the leaders that he could never regain. Points no longer matter to Bowyer. Only a victory guarantees his place in the title battle. “We’re going to try like hell,” he said. Does it mean anything to have all four SHR Fords in the Round of 8? Is there pressure in the playoffs? What does it take to be a NASCAR champion?